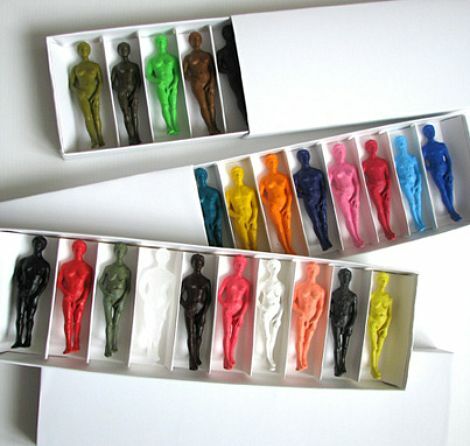 finnish designer heli hietala has created an extraordinary set of crayons to enhance our coloring pleasure. heli says the colours can be used for drawing, and each piece (which is in the shape of a small human) can be used as a tool for a variety of communication styles we find in out daily lives — soft, stimulating, balanced or dirty. it all depends of the character you choose. there are about 100 crayons and they come in boxes of ten pieces each (ten different color collections to choose from). 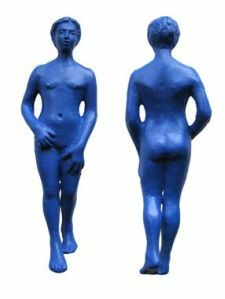 an extraordinary gift or conversation piece for your own home, made even more interesting as the “bodies” are worn down. see more intriguing designs and contact heli right here.